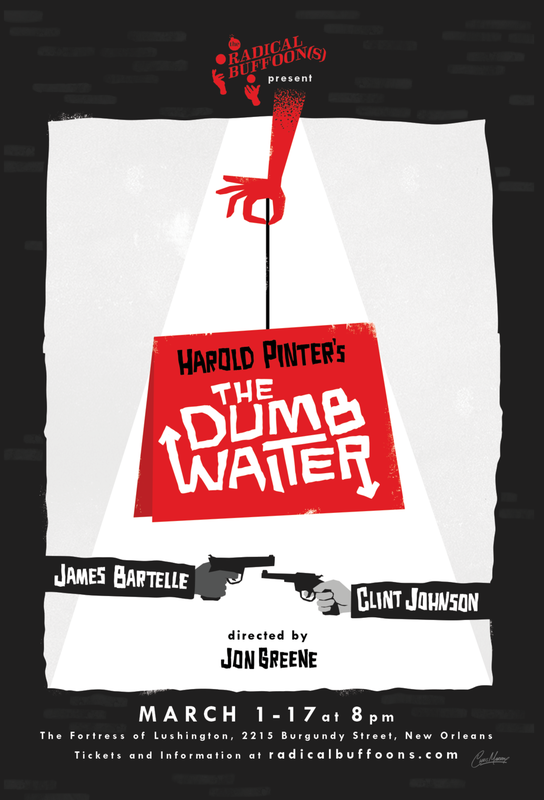 A stealthy one-act, The Dumb Waiter starts simple – and familiarly - enough. Two hit men await their instructions in an undisclosed and windowless basement. Killers with little to do except kill time they navigate their claustrophobic space as well as each other as best they can. But soon enough a series of odd circumstances catapult their pedestrian limbo into an absurd comedy of nerves, uncertainty, and ambiguity. Accentuated even further by this production’s unique conceit: each night the two actors will take the stage, solicit a coin from the audience and give it a flip to decide who will play whom. “The Dumb Waiter” is wound tight from beginning to end, a satisfying exercise in dramatic tension and showmanship. Under Greene’s direction, the cast approach the work deliberately and methodically, wringing comedy and drama from the absurdist tale. Deftly directed and performed, the payoff is an uneasy dramatic tension that’s as likely to explode in laughter as violence. Succeeds largely in its attention to detail... Bartelle and Johnson deliver fine performances... The set design by Kevin Griffith is fantastic. Downtown productions in makeshift venues often take a minimalist approach to set design, but here the set is well-constructed and realistically built with lots of moving parts, all painted in shades of gray that underscore the droll nature of the script. Both Bartelle and Johnson ably play both roles, and both versions are compelling and slightly different. The piece is spare, and every word matters. Greene doesn’t rush the show’s silent and awkward moments, and still it flies by in 50 minutes.